Home/Blog/How To Improve CNC Machining Surface Finish Quality ? 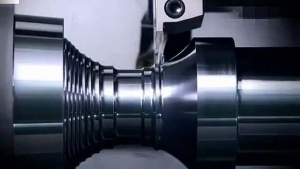 For most mechanical processing plants, the use of the correct machining process has a great help in improving the surface quality of CNC machining. When processing parts with CNC machine, the cut-in and out route should be designed to optimize the cutting angle of the machine tool. In order to reduce the effect of cutter marks and ensure the quality of the surface is not affected, it is necessary to plan the cutting route of the tool. The cut-in point of the tool is mainly started from the periphery of the part to ensure the smooth contoured surface. Choose a smaller feed rate to cut into the tool, so that it is maintained at a slow speed cutting, the smooth transition of the cutting, thus ensuring cutting quality. In processing parts with milling machine, there are two methods of clockwise milling and anticlockwise milling. Clockwise milling has a better surface effect than anticlockwise milling. Therefore, as far as conditions permit we choose clockwise milling process to improve the surface quality of the parts. In the turning of shaft parts, try to use the same tool to machining different shaft neck, that can better reduce the traces caused by the tool. The efficiency and performance of CNC machine tools are inextricably linked with the tool. For the processing of parts with high precision, it is necessary not only to focus on the perfect process, but also to select and use new and efficient tools. Today’s tool optimization designs can use new tool concepts to solve the problems of mechanical machining safety, precision, surface roughness, high-speed cutting, and the ability to optimize the cutting path. Optimizing CNC machining programs to provide the best CNC data for machining that can improve quality. Compared with ordinary machine tools, CNC machine tools not only require the operator to have a higher level of operation in the processing, but also have a higher level of programming and process analysis. In order to ensure the accuracy of the processing, it is necessary to optimize the procedure to increase the production efficiency.